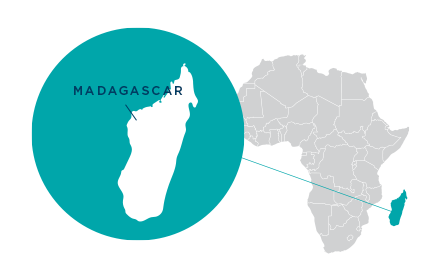 Fararano, meaning “harvest season” in Malagasy, aims to reduce food insecurity and chronic malnutrition and increase resilience in four USAID/Food For Peace (FFP) priority regions of Madagascar. NCBA CLUSA is exploring market linkages and developing new value chains for local producers as a technical partner for Catholic Relief Services (CRS). As a technical partner, NCBA CLUSA will increase and diversify incomes by linking local producers to national and international markets. 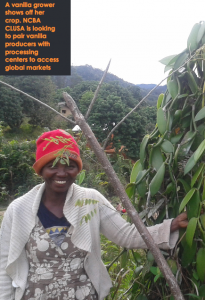 Through 2016, NCBA CLUSA supported 139 producer organizations in the vanilla, black pepper, litchi, maize and cinnamon value chains helping to faciliate nearly $30,000 USD in sales. Everyone knows black pepper. It’s ubiquitous on tables and in recipes around the world. But there’s a wild pepper in Madagascar that might change “black pepper” forever. While the pepper, known as tsiperifery (pronounced “tsee-pear-fair”), is harvested in the wild, it is still currently exported as Piper borbonense, the black pepper from Reunion Island. NCBA CLUSA first came across this unique pepper while working with farmers on the eastern part of Madagascar. 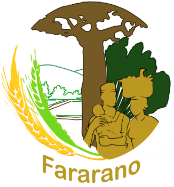 In partnership with Catholic Relief Services on the USAID|Fararano project, NCBA CLUSA provides technical support to farmers setting up producer and collection point organizations, links to market and value chain development. Over the length of the project we aim to strengthen 360 producer organizations and cooperatives and support 5,400 farmers. Strengthening farmer-market relationships, NCBA CLUSA saw an opportunity for rural farmers to link with a local wild pepper exporter, Jacarandas. 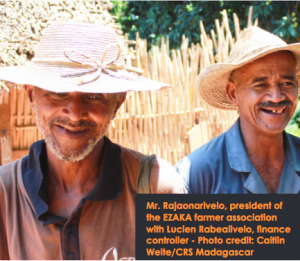 In a consortium between the USAID|Fararano project, ValBio Research Center and the spice exporter, NCBA CLUSA connected them with the EZAKA Producer Association in the Ifanadiana District of Madgascar. The EZAKA farmers were not harvesting or drying the wild pepper properly, but with training the producer organization could start sustainable harvesting and proper processing for high-quality tsiperifery production. ValBio Research Center is helping to GPS map wild vines and set up pepper nurseries to replant the forest. NCBA CLUSA is supporting the group on becoming a legal cooperative, facilitating buyer relationships and helping the group get a harvesting permit. With project support, the farmers will be trained in how to sustainably harvest the pepper without pulling down the vines—which can grow on wild trees up to 40 meters high—dry, sort and package the pepper in order get the highest value. Since the pepper grows wild, with sustainable harvesting, the EZAKA farmers can get extra income with limited effort.